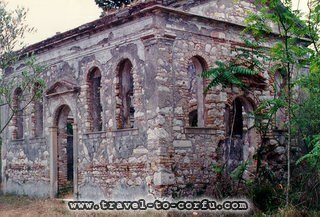 Lazaretto islet is located on the NE side of Corfu island, two nautical miles from the city of Corfu. It has an area of some 17,5 acres, belongs to the state and is being administered by the National Tourist Organization. Still preserved on the islet are "the wall" against which stood those condemned to death, the two-storied building that served as the Headquarters of the Italian army and a small church. Lazaretto islet was a concentration camp for the prisoners of the National Resistance movement of the 1941-1944 period.